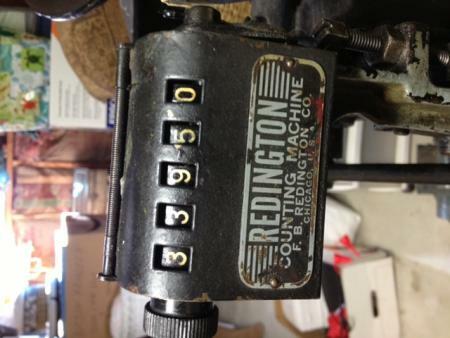 Equipped with a Redington counting machine and a one-speed motor. Speed of motor conducive to printers with a little or a lot of experience. 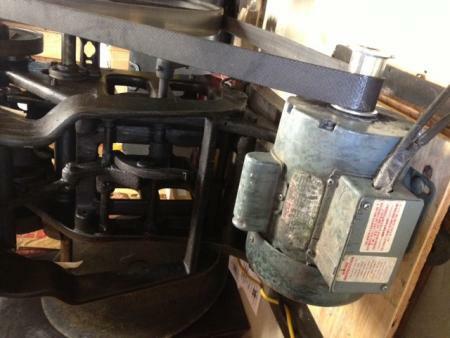 Approximate weight of press 1700 lbs. 7 chases, 300+ sheets of tympan, Genie safe and Easy cleaner, small assortment of furniture and leading, 5 cans of rubber based ink all used about 3 times (pantone 630, pantone 347 ivy mint, pantone rhodamine red, black #12630, transparent), line gauges, 12pt Copperplate Light type, 2 other unidentified foundry type sets, 500ct. 4bar white envelopes, 500ct. A7 white envelopes and Vanson printing apron. 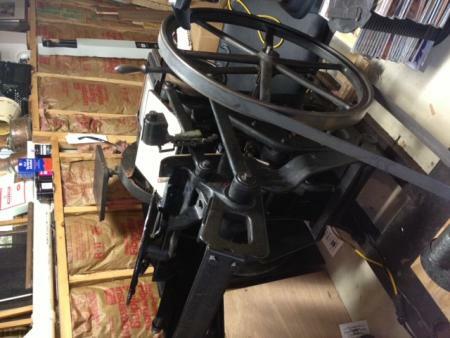 This is a great collection of items for a start-up small business or a hobby printer! 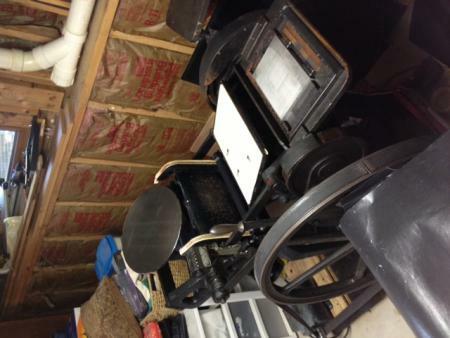 Press and above listed equipment as a package deal for $2600.